This is a replica of the Queen Mother's Mk VII Jaguar, which was progressively up graded to Mk IX specs.As you can see it has the later one piece windscreen and heavier grille surround, but still retains the fully enclosing rear wheel spats, the single chrome strip running through the door handles and the short wrap around rear bumper of the Mk VII. Both Mk VIII & Mk IX had a second chrome strip curving down to the rear guard to give a division line for two tone paint and rear bumpers which wrapped around the sides further. This is manufactured by Oxford diecasts. The Bentley Continental Flying Spur was a large car with a much lighter look than the standard S1 saloon. Keith Richards had one of these in a mid blue colour which he named "Blue Lena", registered JLP400D. 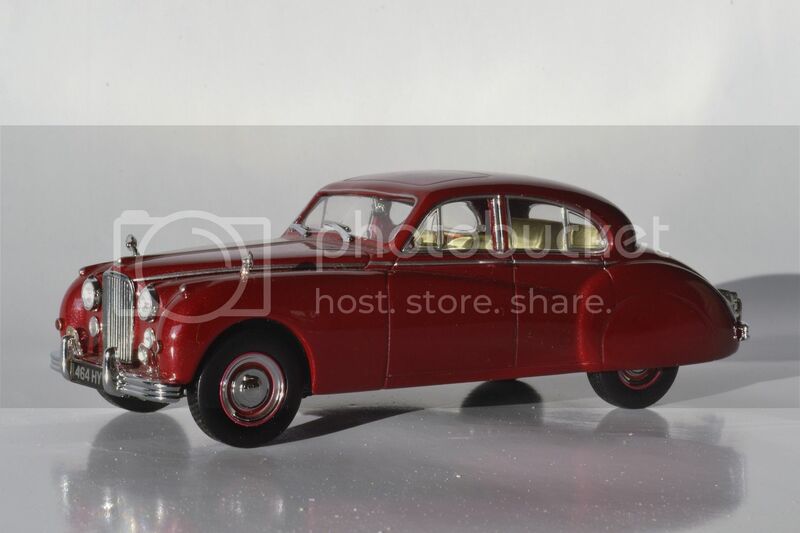 This scale model is manufactured by Minichamps. Another from the Oxford collection is this Daimler DS 420 which is well known as being the last Jaguar/Daimler produced using the XK Jaguar engine in its 4.2 litre form. The last one was built in 1992. The Mercedes Benz CLS saloon was available with several different engines including V6s and V8s. 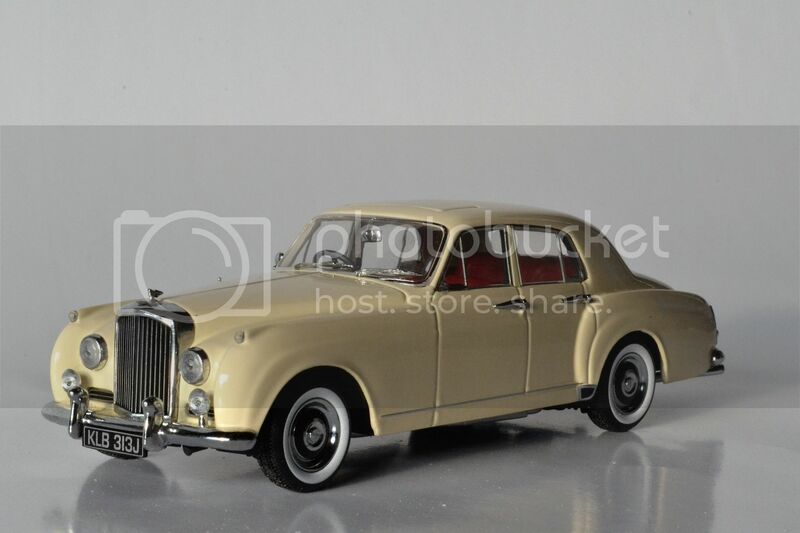 This is a Minichamps model. I always liked the Mercedes W124 saloon and over the years it has proven to be one Daimler-Benz's best loved models. 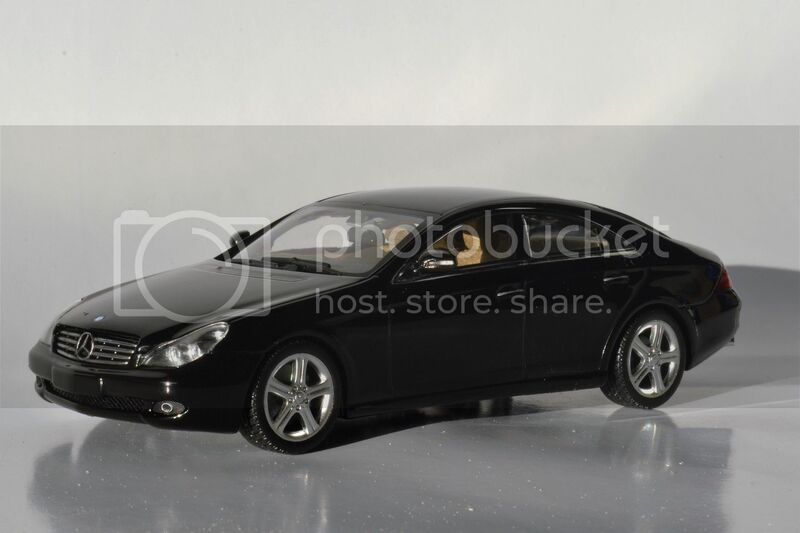 This was the model which first offcially became the E-Class. Previous to this the E had been used to identify the use of an injected engine. 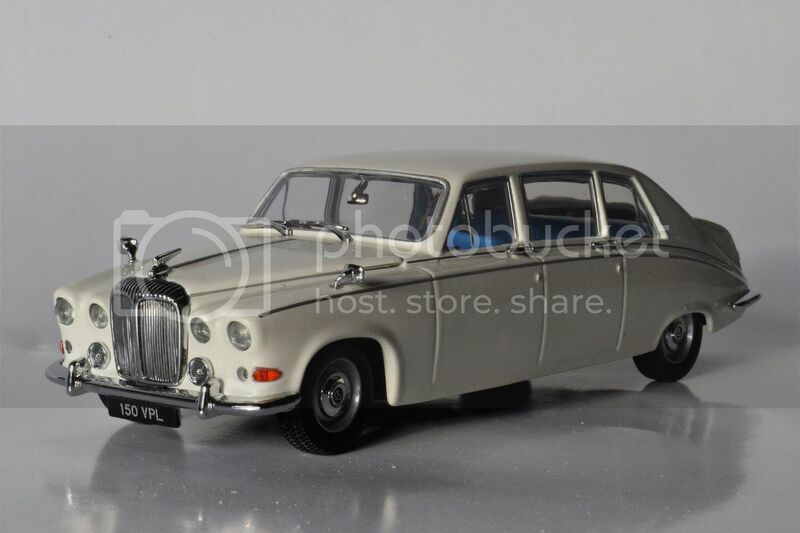 The model shown here is actually a 400E which was only produced in LHD and had the 4.2 litre V8 under its bonnet.. Apparently, in RHD markets the E320 is the model to have, of the readily available models, with its 3.2 litre, twin-cam, in-line six. 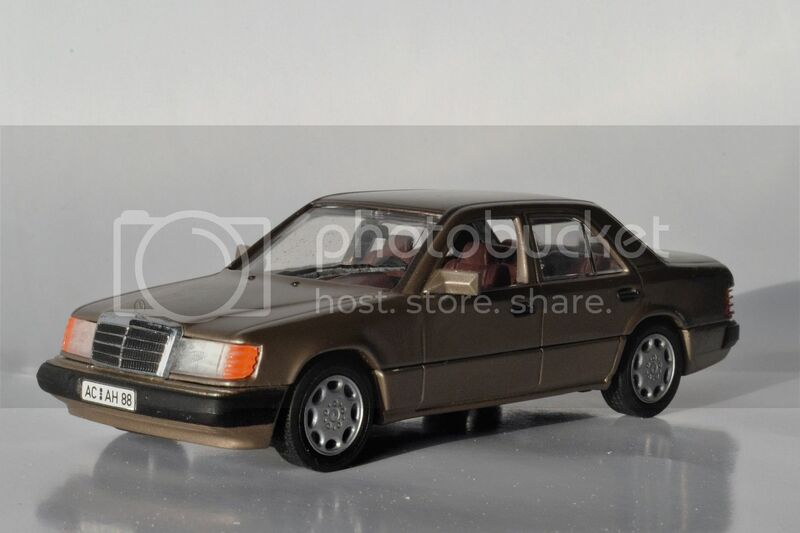 This is also from Minichamps. A Wet Day in Palmerston North.